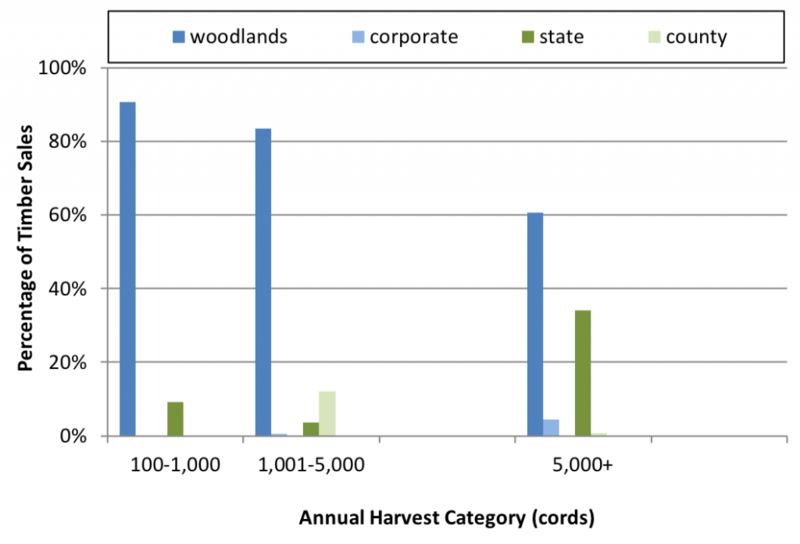 Various landownership categories contribute to the state’s timber supply. Where a logging business is located has a big impact on which lands they harvest from. However, other factors also figure into the decision, including the different expectations that landowners have for loggers (e.g., certified land can have more requirements, but fill an important market niche). In reporting the landownership categories from which loggers harvest timber, we weight all findings by volume harvested. Weighting by volume gives a more accurate picture as different logging businesses can harvest vastly different amounts in a year. 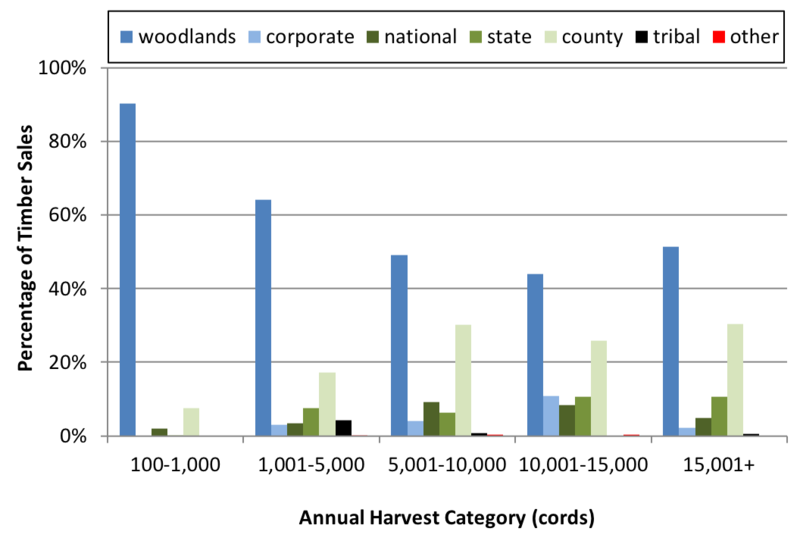 Statewide, we find that small woodlands (i.e., family forests) are the primary source of timber supply. This isn’t particularly surprising as these ownership account for most of the forest landownership in the state. However, we do we a decreasing reliance on that category as annual production increases. County forests are an important source of wood for larger logging businesses. Those familiar with Wisconsin’s landownership know that public lands are distributed unevenly. The majority of public land (national, state, and county), corporate, and tribal lands are located in Northern Wisconsin. Northern Wisconsin is also where most of the logging takes place. In our survey, logging businesses accounted for 87% of the volume harvested. 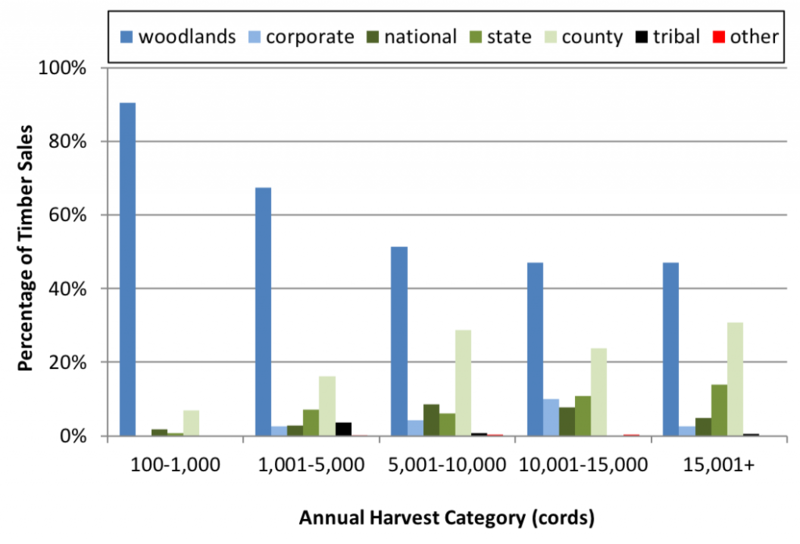 The chart below shows the distribution of landownership source by annual harvest category for Northern Wisconsin. In Southern Wisconsin, regardless of logging business size, the vast majority of volume came from small woodlands. Given the small number of logging businesses, we combined the responses for those businesses that produced more than 5,000 cords. 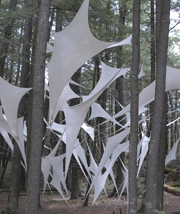 Links to complete series on Week 1 post.